Published (in paperback) 1st January 2015 by Harper Collins. Goodreads Synopsis: Half of your soul is missing. My Review: I had seen copies of The Bell Between Worlds everywhere last year, when it was first released in hardback, though didn’t get around to reading it – so I was really pleasantly surprised when I received a copy of the paperback edition, which had just been released. I hadn’t read a huge amount of fantasy so far this year and I dived straight into this not knowing too much about the story, apart from what the synopsis said! I was really taken by Johnstone’s writing style. In a lot of places, it was very lengthily descriptive. I really loved that; visualising this fantastical world so clearly was as much fun as reading about the events within it unfolding! Though, in some places, it did mean the story dragged a little, especially in the more action-packed parts, or that it took a while to get to the action. The world building is stunning and unforgettable. 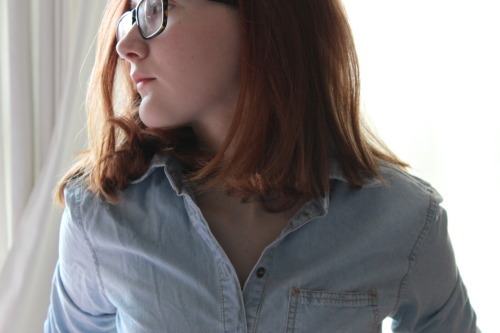 I am in love with the concept of the mirrored worlds – our world of science, and the Other; a world of magic – as well as all of the fantastical elements such as the Passing Bell. The world of The Mirror Chronicles quickly became one of my favourite fantasy settings – and considering I decided this halfway in, and this is only book one, I guess that shows how much I loved it. Overall, The Bell Between Worlds was a much more enjoyable read than I’d actually anticipated! I haven’t been reading much fantasy lately but this has definitely rekindled my love for the genre and I’m looking forward to reading many more similar books, as well as the next Mirror Chronicles book, Circles of Stones. Johnstone’s fantastical world has a very unique feeling to it, and the characters are fantastic. I can’t wait to read more about Sylas, Simia and Naeo! 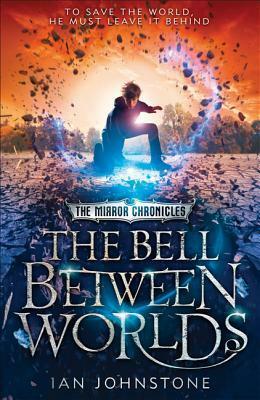 I received a copy of The Bell Between Worlds from the publisher, in exchange for a review. In no way at all did this affect my thoughts. This entry was posted in Uncategorized and tagged 2014 release, book one, book review, fantasy, fantasy series, harper collins, ian johnstone, MG, paperback release, the bell between worlds, the mirror chronicles, YA on February 23, 2015 by keithbwalters.